Amaze your friends with its realistic gripping ability. 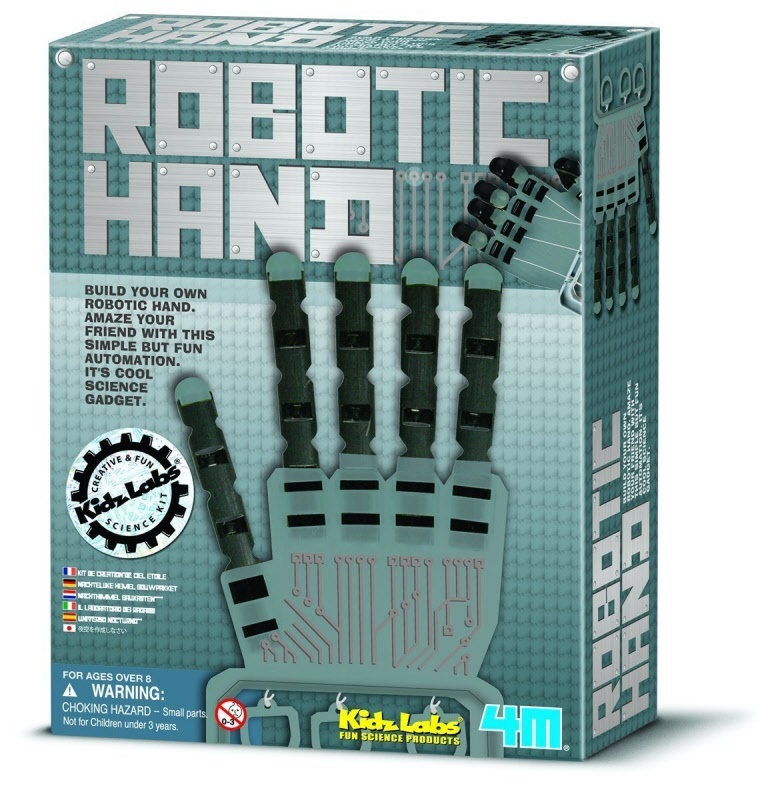 Toysmith 4M Robotic Hand Description Amaze your friends with this cool robotic human hand that you built yourself! The hand makes realistic gripping movements when the 3 rings attached to the 5 fingers are pulled - it will grab your imagination! This kit contains everything you need to assemble one hand: a hand frame, 5 finger tubes, 5 finger end caps, fishing lines and detailed instructions with fun facts. Explore the exciting world of robotics with this cool kit! Hand measures approximately 9" long when assembled.